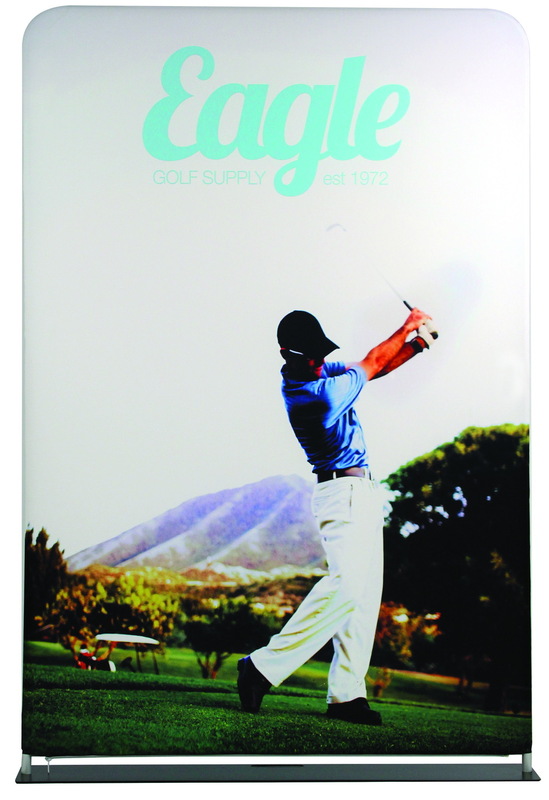 10% off All Vertical Fabric Displays! From now until October 31st, enjoy 10% off our selection of vertical fabric displays. These easy to assemble displays are our preferred hardware for trade shows and other instances where retractable banner stands are typically used. They are lighter, and have no moving parts to break. They come with a carry case, can be single- or double-sided, and come in a variety of widths and heights. Take a look at some displays we've done below. Get yours today!